The same clouds that threatened to rain all day still lingered into the night, making it cold as well as looking like it would rain. And that kept a lot of people away as the turnout was about half of normal. But those that missed it, missed some very unique vehicles on display. 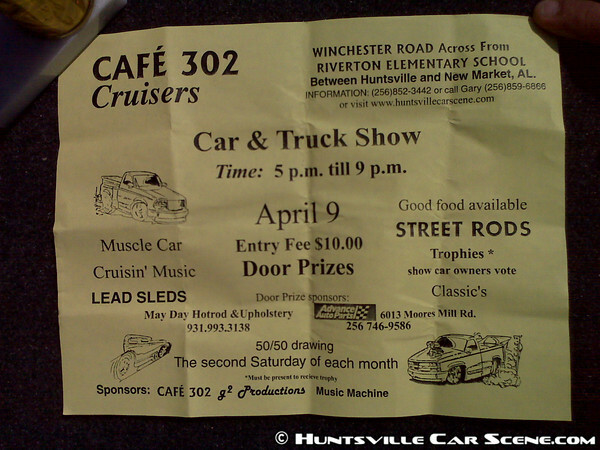 Among these was Jason's turbo intercooled Buick, and Leon_D's Rally Rabbit. Both walked away with a trophy. The Rally Rabbit walked away with two today if you count the Rallycross it competed in earlier. Sean, Rayman, and more friends drove over to hang out for a bit, when they could've walked, lol. But they arrived in style with multiple generations of Evos and a new Mustang. It was so much fun hanging out with you guys and thank you so much for having me over after 302. We'll have to do that again soon! If you arrived early enough, you got to hear Amy on the guitar before the music started playing. She was unbelievably good. So much so that I wasn't able to think enough to shoot video of her so you could hear for yourself. And her family had entered a clean Ford truck that "isn't a show truck". Well, the trophy at the end of the night changed that. It was great to meet all of you and I hope to see you all out again at 302.